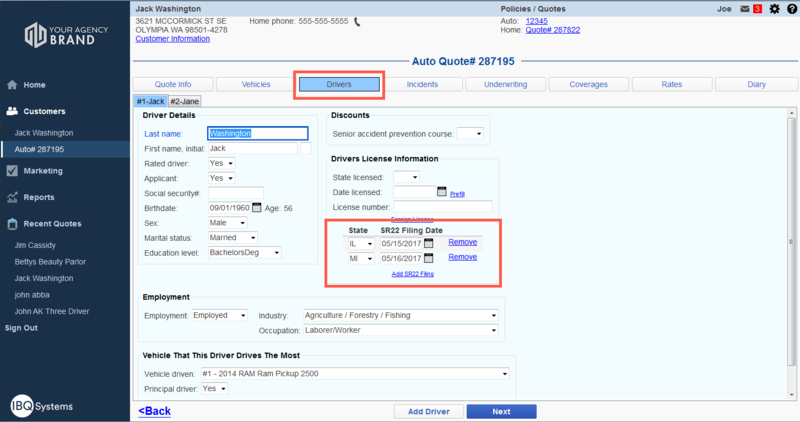 Microsoft Outlook is now integrated directly into IBQ. To view emails, you do not even have to leave the IBQ client! By clicking the email icon , you will see your most recent emails in order, both read and unread. We aim to minimize any need to leave IBQ! The number of unread emails will be displayed with a red indicator (see image to the left) in the top right corner of your screen. By clicking the red indicator, you will see your last 10 unread emails in order. Settings and Help & Feedback have also been moved to the top right corner. You have asked for it and we are listening. 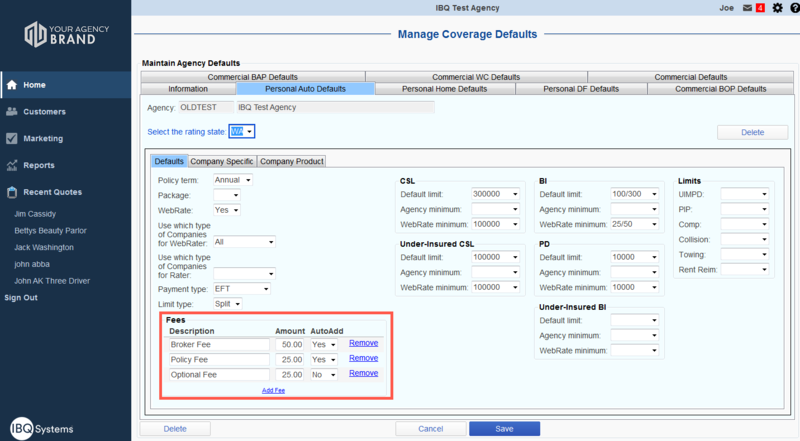 IBQ now offers your agency the ability to add agency fees to your quotes. Supervisors have the ability to completely customize the fees and amounts by state and policy type. You can choose to include a policy or agency fee on every quote, or add them in for specialty cases. It is simple to setup. 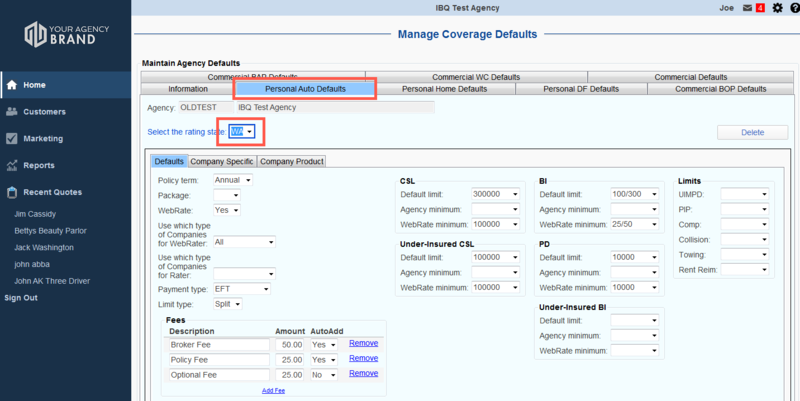 Start by selecting the Settings gear in the top right hand corner of IBQ, and click Coverage Defaults. From there you select the LOB, and then the State. The example to the right has selected Personal Auto in Washington. Under the Fees section you can choose the Description of the fee type, and the amount. If you choose yes in the AutoAdd section, it will add that fee to every quote you do in that state. It just keeps getting easier! SR22’s are no longer entered as an incident. They are now found on the Driver’s tab, just under the Drivers License information.